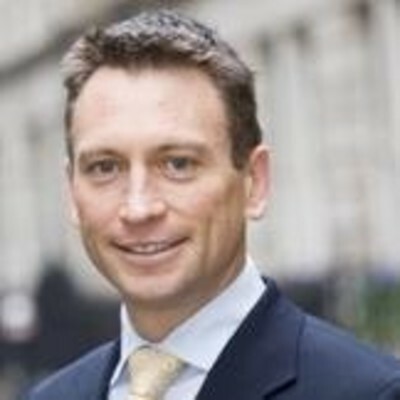 Greg Baxter is Executive Vice President and Chief Digital Officer at MetLife. Building on a career in technology, strategy and innovation, Greg is responsible for driving MetLife's Digital strategy and execution globally. This includes setting the direction for MetLife’s Digital capability development and investments across foundational, differentiating and disruptive opportunities, and the incubation and acceleration of Digital growth opportunities. Greg has held senior business, consulting and technology roles across Asia, Europe and North America. Prior to MetLife, Greg was Managing Director and Global Head of Digital at Citi in New York, leading their digital transformation globally. Before Citi, Greg was a London based Partner and U.K. Board member at Booz & Company (formerly Booz Allen Hamilton), a leading management consulting firm. Here he held leadership roles across the financial services, public sector and digital practices. Greg started his career in Australia as a software engineer and senior project manager with IBM, delivering large technology projects in financial services and managing market leading products. Greg is a leading thinker and regular speaker on digital strategy, technology and disruptive innovation, and has been a guest lecturer on strategy at Oxford University, New York University and the American University in Washington. Greg has served on the Council (Board member) of Chatham House - the Royal Institute of International Affairs, a leading international affairs think tank. He also serves as an economic advisor to the Governor of Guangdong Province in China and is on the advisory board for Imperial College's Centre for Global Finance and Technology in London. Greg graduated from Monash University, Australia, with a Bachelor of Applied Science (Computing) degree, and subsequently completed a Masters of Business Administration degree from Melbourne University.